Greg Bakunzi with his companies Amahoro Tours and Red Rocks in Muzanze, Rwanda, is a particularly active member in LT&C. In 2015, he joined as a King penguin and since then, he has authored two LT&C-Examples. This year, he upgraded his status to an Emperor penguin, making him the first LT&C supporter in Africa to sign-up for the highest membership level. Peter Prokosch interviewed him to learn more about his motivation and future plans. What made you originally join LT&C? 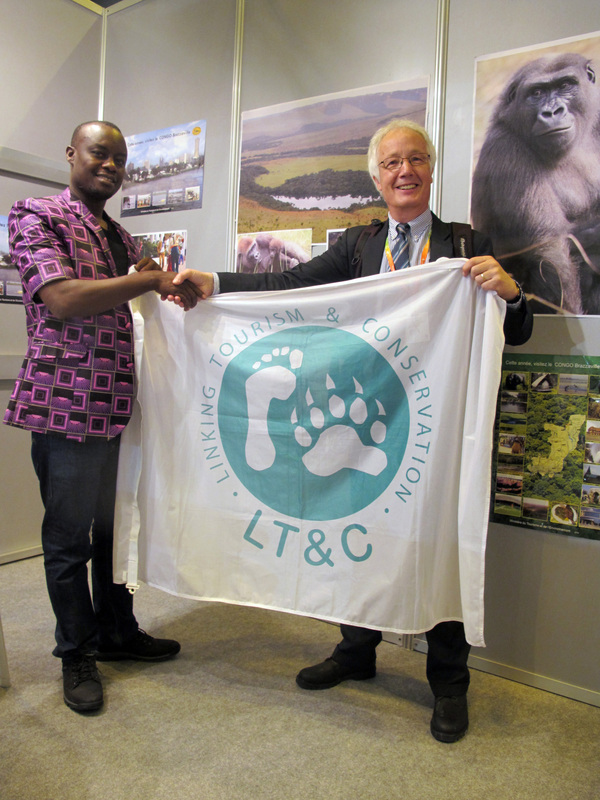 I joined LT&C way back in 2015 after realizing that the non-government organization shared my vision of harnessing tourism as a significant component of conservation and community development. My two organizations, Amahoro Tours and Red Rocks Cultural Center have since their establishment been finding innovative ways to protect natural areas. Tourism plays a key role in ensuring effective management of our natural resources. 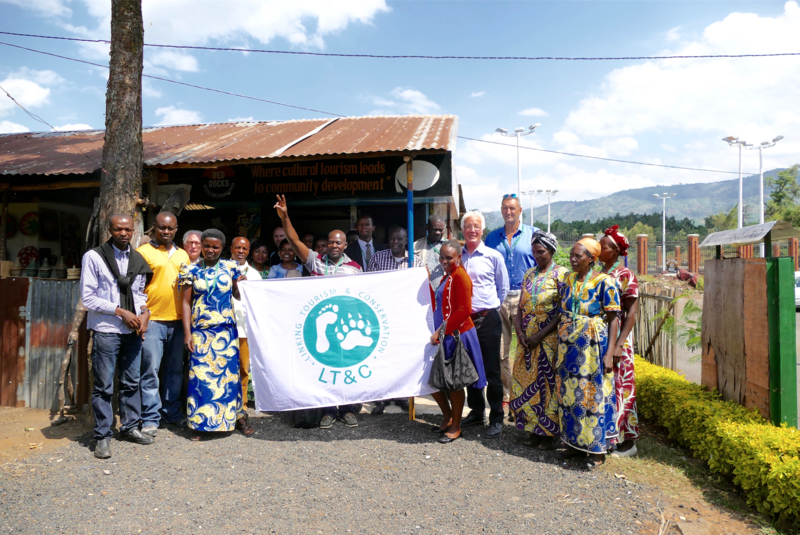 Therefore, by joining LT&C, I hoped to learn more from other experts on how my companies can be a player in initiating programs that benefit the natural environment and to share knowledge, experience and best practices, which eventually benefit tourism and conservation of nature in protected areas. How were you able to use the LT&C global network and how did it influence your activities? LT&C has a host of products and services that have been valuable to me. The workshops they have been organized have been quite helpful not only in getting to know more about how tourism can be used as a tool for conservation and sustainable development, but also in creating a beneficial network of like-minded individuals in the tourism industry all over the world. LT&C has over the years highlighted examples of where tourism has successfully supported development and management of protected areas. I have learned so much from these success stories and applied the same formula in some of the Red Rocks Rwanda and Amahoro Tours tourism conservation and sustainable development programs that we have initiated. LT&C has also been consistently producing helpful tourism journals and publications that help me to keep abreast of global tourism trends. I have been able to employ these useful resources to improve our approach towards tourism as a tool for conservation and development, and apply different approaches learned towards the same. How are both of your companies achieving conservation results, while ensuring local people also benefit? Conservation and community development have been two key pillars of our programs. We are alive to the fact that without conservation, tourism is dead, and with it, we can achieve sustainable development, particularly for those living around the national parks and other tourist sites. Red Rocks Rwanda and Amahoro Tours have initiated different programs geared towards ensuring conservation is realized and the local people gain from tourism. So far, we have involved around 400 families in planting tens of thousands of trees. 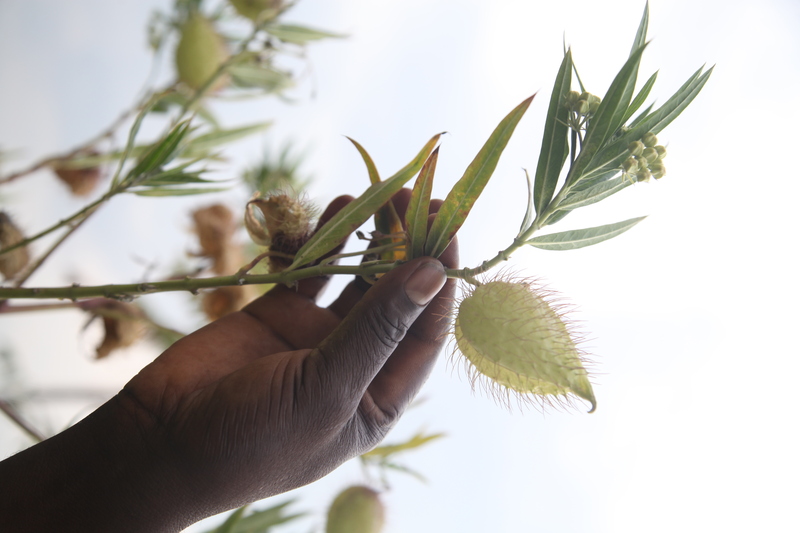 We have botanical gardens around the parks, where the locals can come and fetch seeds instead of invading the forests and endangering the lives of plant species. We have initiated a bee-keeping project to prevent the locals from carrying out their activities in the forests and we continue to hold talks where we invite experts to explain to the locals about the benefits of conservation. 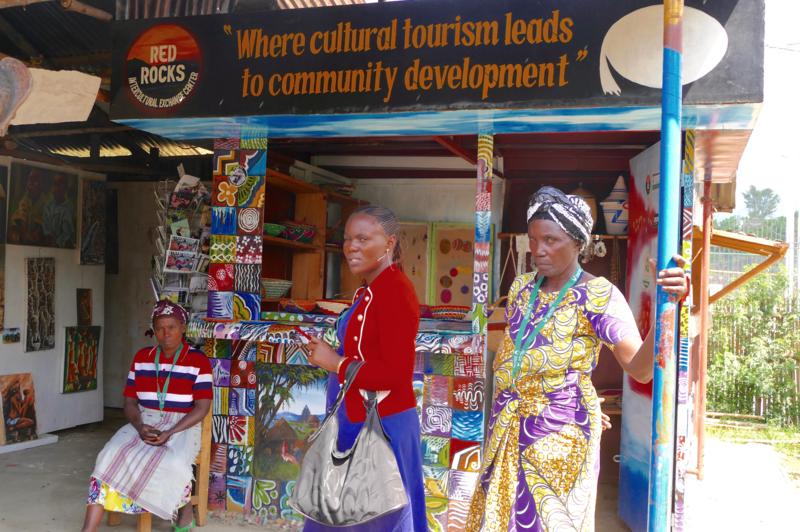 Red Rocks Initiatives For Sustainable Development has also established a reputation as a place where the local communities can benefit from tourism, thereby uplifting their standards. We established the Hands of Hope program where local women use their skills in making traditional handcrafts that tourists can purchase at the center, and we help them also market these products abroad. Our Homestay and Village Walk Programs connect both the tourists and the locals. Tourists get to learn about the culture of the locals, while the locals are given some money in return. Local women also demonstrate to tourists some aspects of Rwanda culture like the making of banana beer. We have a Red Rocks traditional dancing troupe, and recently, we started producing music for free for talented youth, who had no one to produce their songs before. 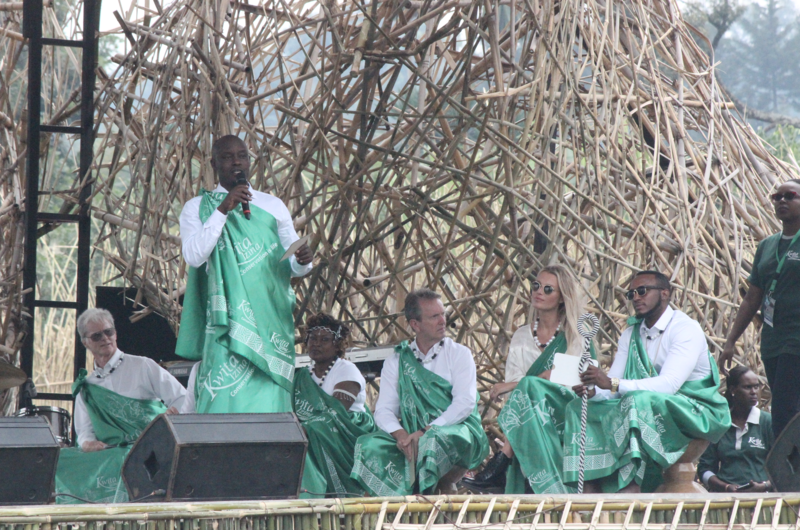 Greg Bakunzi became the first Rwandan citizen honored to name a baby gorilla at the Kwita Izina, Rwanda’s annual baby mountain gorilla naming and conservation ceremony. We believe that if the local communities around our national parks are empowered enough, if they have the means to support themselves and uplift their livelihoods, then they will have no reason to encroach on the parks in the name of poaching and other illegal activities. Recently the Volcano National Park in your neighborhood was enlarged. Can you tell us more about that and how it relates to your business? On January 10, 2018, African Wildlife Foundation (AWF) handed over 27 hectares of land in the outskirts of Volcanoes National Park in the Northern Province to boost the ongoing effort to expand the habitat of the rare mountain gorillas and other wildlife found in the park, adding to the existing 16,000 hectares. The donation, according to AWF, was aimed at “providing adequate space for gorillas and other wildlife in the park to thrive.” This is a positive development since, over the past decade, there has been an increase in the population of the mountain gorillas. The increase means that they also need more space. 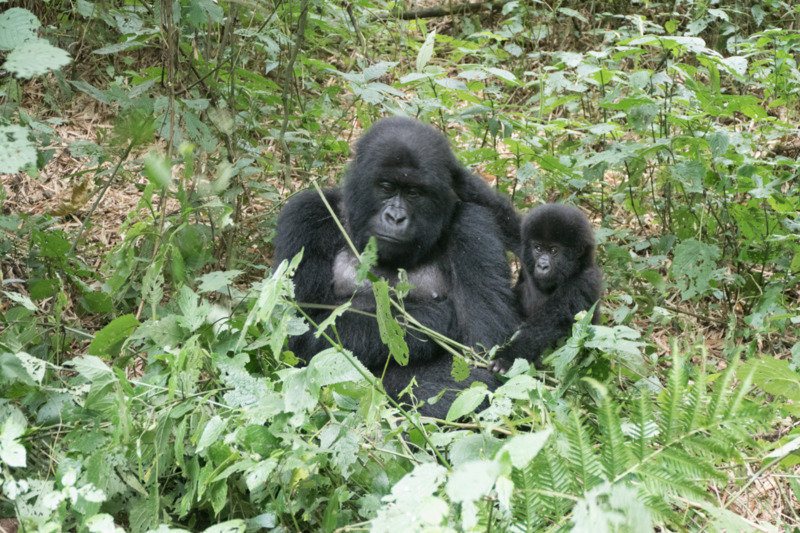 The Rwanda Development Board (RDB) also recognized the need to expand the gorilla habitat to accommodate the growing number, according to RDB’s Chief Tourism Officer Belize Karisa. 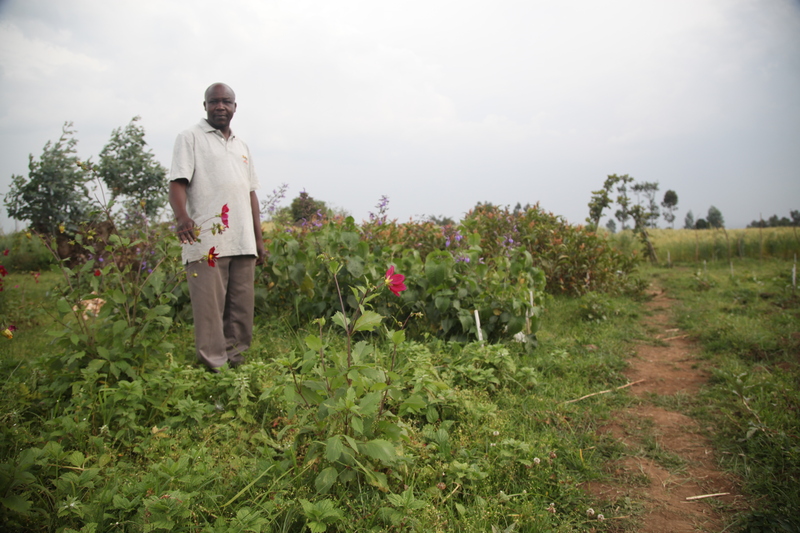 As per the agreement between RDB and AWF, according to press reports, the donated land will be re-vegetated and no development will take place on the land. This is a welcome move as far as conservation is concerned. As a player in the tourism industry, this decision is going to ensure that not only are the mountain gorillas get enough space but also other species that live there like the golden monkeys, among others. This is another way of developing tourism and we are happy with this development. What are your future plans for getting involved in all three countries of the Virunga Mountains — Rwanda, the Democratic Republic of Congo and Uganda? other areas in Virunga we have not reached. See also his LT&C-Example .